*The rear camber is usually something you have to watch out for. When lowering a vehicle, the rear begins to camber immediately while the front stays pretty straight until aggressive lowering is performed. Since I've used both methods of camber correction (washers and bolts/camber arm), I posted DIY's for both. If you're wondering which method is better; well.. honestly, both work really well and both are solid and reliable. If you're wondering why I moved up to the camber arm, it's because I use my car for competition. As such, I need the availability of micro-adjustments for fine tuning. **Take a bolt with you to your local hardware store. Use the bolt to find the right size washers. If you're selecting washers from a large bin, sift through them and choose the thinnest ones. ***If you're lowered more than 1.5", you'll most likely need several washers. In addition, you're going to need longer bolts. Make sure you get the correct thread pitch. Also, make sure you buy bolts that are metric grade 10 or higher. Tools needed: Ratchet set, 14mm socket, 3/8" extention. 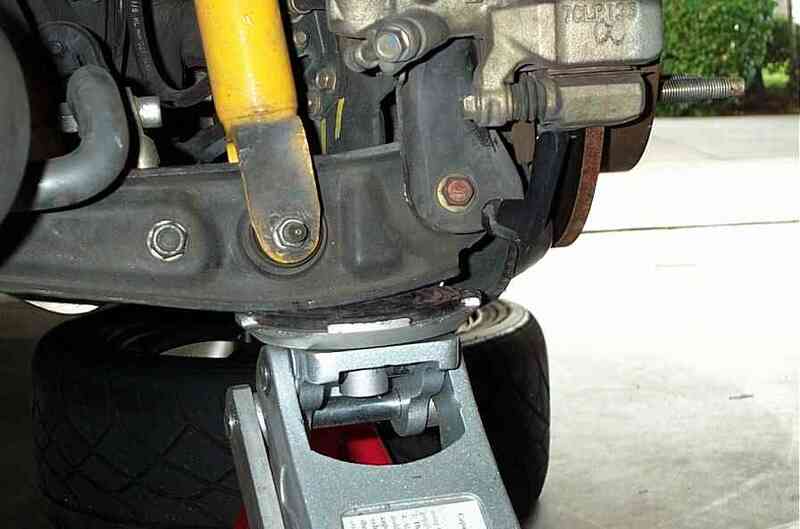 Step1: Loosen the lugs on the rear wheels, jack up the rear, and place it on jack stands. Step2: There are 3 bolts you'll need to remove to get the upper arm out. 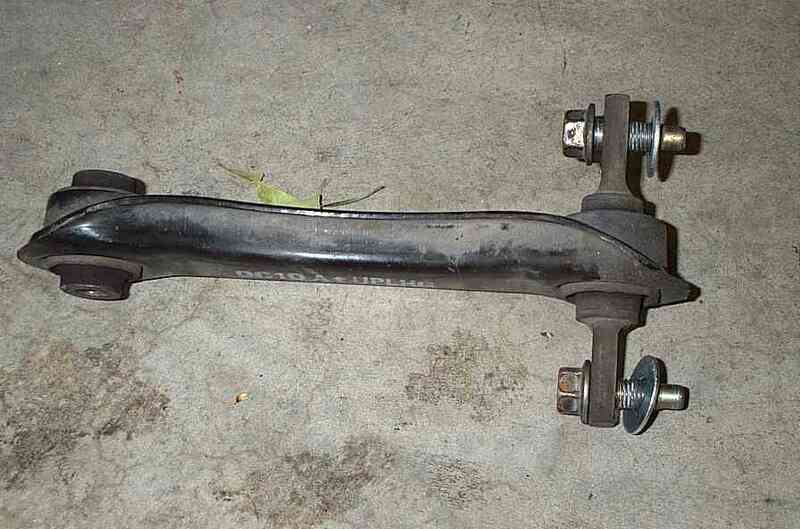 Start with the side that's connected to the trailing arm. 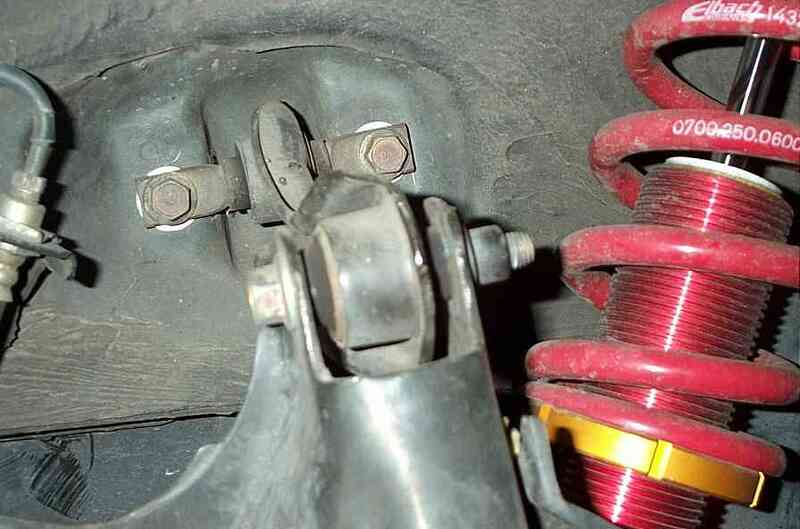 Step3: Since it's hard to access, use an extention to access the two remaining bolts. I used an 18" extention. Step4: You'll be adding washer to the back side of the upper arm. They fit between the upper arm and the body. If you're going to use more than 3 washers, use a longer bolt. If you're dropped about 2", 3 to 4 washers might be a good start (depends on how thick your washers are). Step5: Once you have the arm installed, tighten and torque the two bolts going into the body. Torque spec: 29 ft. lbs. Step6: Thread in the bolt connecting to trailing arm, but don't tighten it yet. 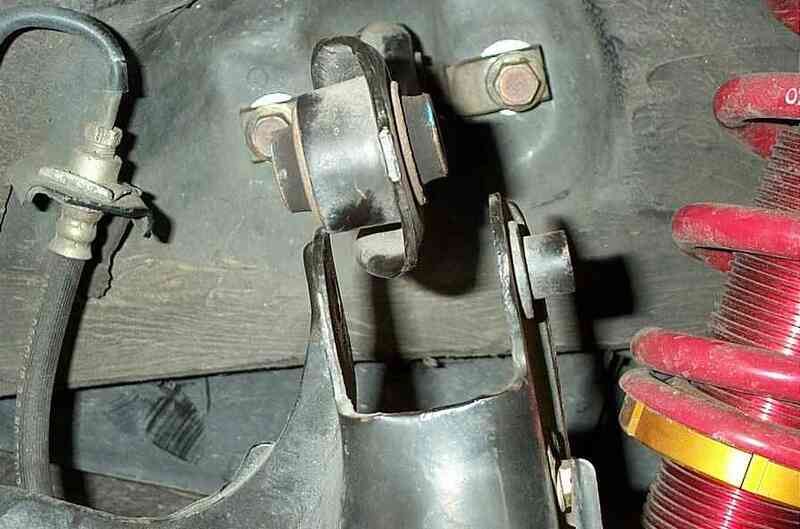 Once the bolt is in, use a jack to raise the trailing arm to the point that the suspension is loaded. 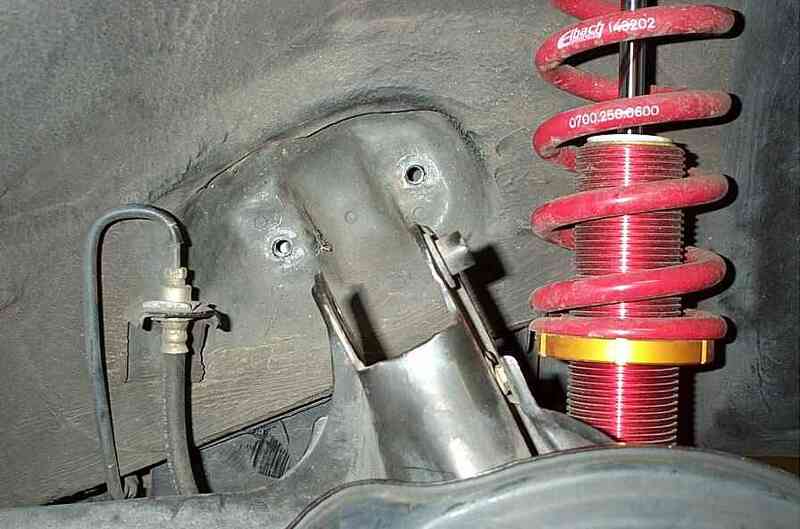 It should almost be to the point where that corner of the car will start coming off the jack stand. Tighten the bolt and torque it. Torque spec: 40 ft. lbs. Lower the jack.